Format, the world’s most loved portfolio-building site, today revealed a rebrand centered around a bold message: Few Can Do What You Do. “Being an inspiring artist is both a noble pursuit and prestigious accomplishment. Our new slogan—Few Can Do What You Do—is about acknowledging this greatness; the greatness of those who have chosen to pursue their dreams by working in a creative industry. We want to empower visual artists, celebrate their uniqueness and help them succeed,” explains CEO Lukas Dryja. To bring this message to life, the company has launched a quirky multilayered campaign that reflects the vast creativity of its community. 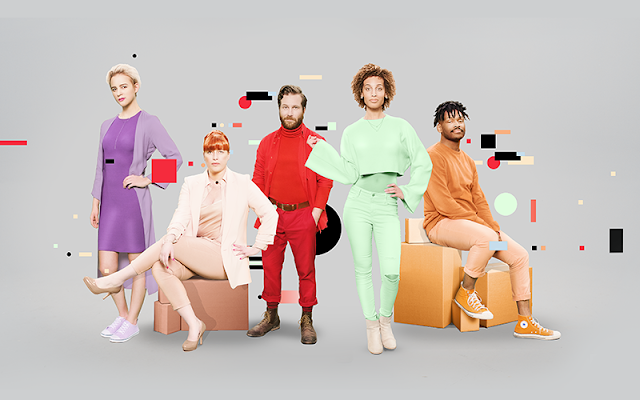 A tongue-in-cheek video series calls out the all-too-familiar truism that creatives think they’re better than everyone else, simultaneously poking fun at and applauding the tribe. Each of the five shorts spotlights a boastful creative and a bizarre set of activities that they’re better at than most, because, few can do what they do. In the same vein, the team’s built a straight-faced chatbot named Dr. Luova Dahl, “the leading simulated expert on chat-based research for creative thinking”, that offers to uncover the source of one’s creative greatness. Is your creativity harnessed from your heart? Do you sparkle with short bursts of brilliance? Or do you feel ideas to fruition? Only chatting with the doctor will tell. With the campaign comes a new logo, visual identity and redesign of Format’s portfolio-building platform, its most significant update to date. Hundreds of hours were spent gathering user feedback, designing and coding to deliver a more intuitive and powerful platform that looks and feels sharper, cleaner and simplified. “I’m looking forward to expanding upon the language we use in communication with our community and to, ultimately, deepening our relationship with creatives around the world,” he concludes.